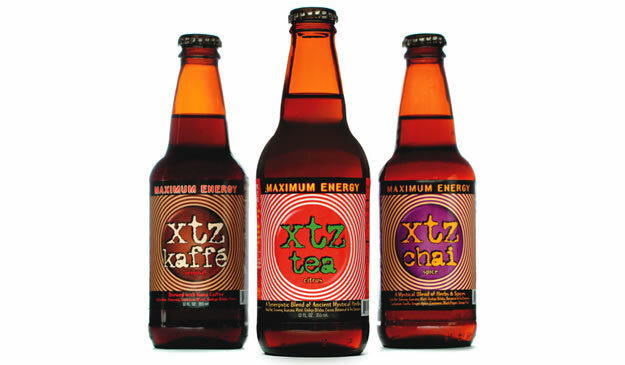 XTZ was one of the first energy drinks on the market, and gained a cult following well before the energy drink craze hit its stride. XTZ hired Train of Thought to redesign the label as their market grew. We added a tag line to the label, simply ‘Maximum Energy’ because that’s exactly what the drink was all about, stripped out elements that undermined readability, focused the viewer’s attention on the logo, and updated the text. We also designed labels for the brand’s new flavors, kaffé and chai.